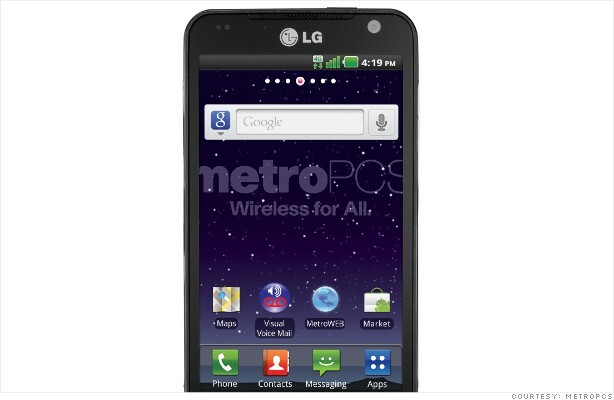 Could MetroPCS finally be getting its knight in shining armor? Investors sure think so. Deutsche Telekom confirmed Tuesday that it was in talks with MetroPCS to merge the beleaguered wireless carrier with its T-Mobile USA unit. MetroPCS has been bleeding subscribers. But it has a nice cash cushion. At the end of the second quarter, MetroPCS had $2.3 billion of cash and cash equivalents, and short-term investments. That's nothing to sneeze at. A merger of the two would give Deutsche Telekom's T-Mobile USA unit a nice boost and add heft in a quickly consolidating industry. The news sent shares of MetroPCS (PCS) spiking more than 21%, while rival Leap Wireless (LEAP) followed suit, surging more than 13%. But the news wouldn't be as welcome for Sprint (S), since a MetroPCS-T-Mobile tie-up could cut into its market share. StockTwits traders had a lot to say about who might come out on top. OptionRunners: What a move on $PCS today on the T-Mobile merger news! That's a good point. It wasn't that long ago that T-Mobile and AT&T (T) were talking merger. Oh, and speaking of crazy, let's not forget Apple (AAPL) and the iPhone. Remember when they were the sole carrier? Now Verizon (VZ), Sprint and Leap have all gotten into the game. But that's not calming the clamoring for a competitive edge. Megashare: $PCS sprint is broke, they've been eating noodles for years. they don't have enough money to buy PCS Metro. Don't you think so ?? It's tough to answer that. Wireless companies are a wily bunch so whether or not a MetroPCS deal emerges in the next day or so, the 'let's make a deal' mantra isn't likely to disappear anytime soon.